↑ "Arabian Knight". Forbes.com. https://www.forbes.com/maserati/billionaires2004/092.html. Retrieved on 24 ستمبر 2015. ↑ 2.0 2.1 2.2 2.3 "Burj Al Arab Hotel – The Skyscraper Center". Council on Tall Buildings and Urban Habitat. https://www.skyscrapercenter.com/building/burj-al-arab/402. ↑ "Stay at Burj Al Arab". Jumeirah. http://www.jumeirah.com/en/Hotels-and-Resorts/Destinations/Dubai/Burj-Al-Arab/Suites/Staying-with-Us1/. Retrieved on 4 جنوری 2010. ↑ Eytan, Declan. "Milan: Inside the World's Only Certified 7 Star Hotel" (in en). Forbes. https://www.forbes.com/sites/declaneytan/2015/08/04/1032/#581c78b0203d. ↑ "Vanity Height: the Use-less Space in Today's Tallest". CTBUH. http://www.ctbuh.org/Publications/Journal/InNumbers/TBINVanityHeight/tabid/5837/language/en-US/Default.aspx. ↑ "Study: Skyscrapers Topped by Wasted Space". World Property Channel. 2013-09-06. http://www.worldpropertychannel.com/middle-east-africa-commercial-news/skyscraper-heights-council-on-tall-buildings-and-urban-habitat-vanity-height-burj-al-arab-burj-khalifa-7319.php. ↑ Solon, Olivia (2013-09-06). "Report names and shames vanity skyscrapers with unnecessary spires". Wired. https://www.wired.co.uk/news/archive/2013-09/06/architectural-willy-waving. ↑ "Dubai's Chicago Beach Hotel". Dubai As It Used To Be. http://www.dubaiasitusedtobe.com/pages/galleries/chicagohotel.shtm. 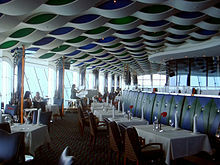 ↑ "Burj Al Arab – Atkins". http://www.atkinsglobal.com/en-GB/projects/burj-al-arab. ↑ "Burj Al Arab". Galinsky. http://www.galinsky.com/buildings/burjalarab/index.htm.